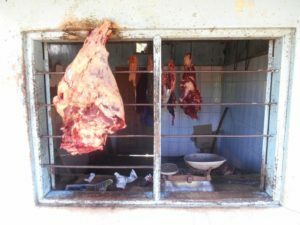 In my last blog, I considered the quandary that was presented by the meat-sellers of Arusha, Tanzania, who say they have, in the main, not experienced any meat-safety issues related to their own businesses. Over 80% of meat sellers in both urban and rural settings claim this. However, Tanzania is known to be a hot-spot for disease-causing bacterial zoonoses transmitted to people from meat at some point as it moves from farmer to consumer – and there is no reason to believe that Arusha is any different from elsewhere in the country. A further quandary emerged when we analysed the factors that the 64 butchers and eatery owners we interviewed saw as likely to increase or decrease meat risk in the future. First, we found rural operators to be more optimistic about future food safety than their urban counterparts. Majorities of 60-73% of operators in the rural areas believe food safety risks will decrease in the future. In contrast, urban operators are evenly divided. About 40% of urban operators believe risks will decrease, while those believing risks will increase also comprised about 40% of the interviewees. Second, it was clear most people in butcheries and eateries were quite passionate about food safety in the future; the future was either very sparkling bright or dark and dire. We identified 10 factors that are most commonly thought likely to affect meat safety in the future (see the table below); again, going either way. Any of these 10 factors will, according to one side of the argument, lead to major food safety risks in the future, while people on the other side of the argument believe the same factor will decrease risks. For example, take the most commonly factors cited by our interviewees: the professional practices of veterinary staff and the practices of livestock owners. While 30 butchers and eatery owners said they believe veterinary staff practices will reduce the risks, 19 believe they will increase them; and while 21 people said the practices of livestock owners will increase the risks, 13 people think they will decrease them. In addition, no patterns are discernible related to the factors chosen by butchers versus those chosen by eatery owners, or by urban meat sellers versus rural ones. That is possibly a confusing picture. However, a deeper qualitative analysis of the interviews can on occasion reveal at least why such divergent views exist. “I think the problems of food safety of meat will come down. For example it is quite a long time since I have heard of fini [worms] disease. It seems to have disappeared, and this is an improvement and the result of better vaccination and treatment.” Rural butcher. “If the cow has been injected with booster vitamins to accelerate fattening of the animals. Don’t you see that could cause problems in meat for consumers?” Urban eatery owner. At times, listening closely to what interviewees say can show that there may be levels of agreement beneath the apparent discord. For example, the interviewees gave differing views on whether there are sufficient veterinary officers, on whether veterinary officers are readily available to the right people at the right time, whether they do their jobs properly (e.g. offering advice and preventative treatments), and whether they carry out their jobs out diligently, with respect and with honesty (forgoing opportunities to act corruptly or nepotistically). “Here we have only one veterinary officer.” Urban eatery owner. “If you need an emergency veterinary service now, you will never access it unless you have the mobile number of the officer concerned.” Rural eatery owner. 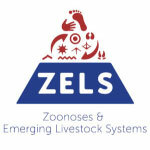 “The [meat safety] problems will not increase because now we have many veterinary officers. Yes, there are many… there are two inspectors here.” Urban butcher. It seems veterinary officers may be ‘a good thing’ per se. It’s just that it’s not an ideal world, people perceive things differently and there are a lot of ‘ifs and ‘buts’. So, while no strong conclusions may be drawn on perceptions of future risk going up or down, digging deeper can be revelatory indeed. Such is the benefit of qualitative analysis.